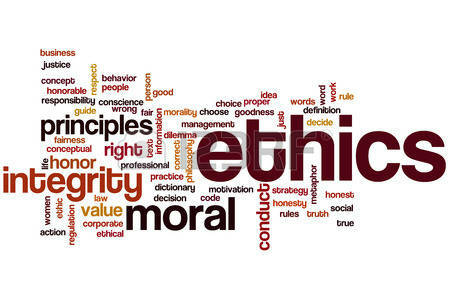 I believe that it is important for practising astrologers every so often to get on their shouty soapbox on the topics of what constitutes ethical practice and how does one become a responsible consultant astrologer. to share with my readers. Feel free to download and share, says Donna. 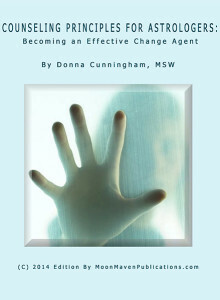 The article also lists many of Donna’s other articles on good practice which would be beneficial for all practitioners whatever their level of experience to read. One of my thoughtful commenters pointed out that many brilliant astrologers have evolved – and practice – without formal teaching or certification. She also made the point that going through formal certification can be so arduous, time and money consuming that it leaves little room for the actual practice of chart reading. Her view is that stating clearly on one’s publicity where one is coming from as an astrologer, and the considerable effort and commitment it has taken to get there, is going to be enough for her. I can see the validity of all those points. Nevertheless, I think that having the common sense and humility at least to complete a basic counselling skills qualification, to have experience of being a client oneself in whatever therapeutic context seems relevant, and hiring an experienced fellow astrologer for regular supervision sessions to offer a supportive outside view on the joys and sorrows and challenges of one’s practice, even if it takes one several years to put those conditions in place, should be a minimum aspiration for all astrologers – no matter how brilliant or self-taught they may be. With those few comments which I hope add up to a series of posts which will be challenging, helpful and inspiring, I send out my very best wishes to all prospective astrology clients, astrology practitioners and students – not forgetting interested members of the public who may be following this series. May your encounter with the great, ancient art of astrology be inspiring and life-enhancing. On becoming a responsible astrologer: how do you get there? Well! 22nd July’s post on the ethics of astrological practice, a topic to which all we astrological practitioners should return from time to time in my opinion, generated a great deal of interest over at this blog’s Facebook page. My dialogue there, with thoughtful astrologer Sellieve Ezra Neptune, made it clear to me that the question of responsible astrological practice needed to be pursued further. This is a very fair question, Sellieve, and it does indeed look as though I’ve presented a Catch 22. The last thing I want to do is discourage potentially effective astrologers like yourself from ending up as serious professional practitioners. There are a number of ways from which to approach this question, and I do not claim to have all the answers – a brief post can only cover a few key bases. However, here goes! I should state at the outset that I am based in the UK, so am not very familiar with the specifics of what constitutes professional regulation in other countries. The advantage of belonging to one of the traditional professions recognised by mainstream society e.g. medicine, the law, teaching, accountancy etc is that one has to go through pretty rigorous training and professional licensing in order to be able to practice. This does not rule out bad practice, but it does mean it is kept to a minimum, and offers legal redress to people who have been on the receiving end of such practice. However, astrologers especially in this reductionist age are very much NOT regarded as being in the mainstream of professional practice, and it is possible for anyone to set themselves up as an astrologer with no training, regulation or background counselling experience whatsoever. In an ideal world, it should not be possible for people to do this. But as we all know the world we live in is far from ideal. I think the reality is that it is never going to be possible fully to prevent people from abusing their fellow citizens as described by Donna Cunningham in my earlier post, ie Awful Things Astrologers Say to their Clients. However, it is my hope that the public is more aware these days of the difference between responsible, quality astrologers and dangerous amateurs. In recent years, much progress has been made in training and monitoring astrologers through such reputable bodies as eg OPA, ISAR, NCGR and the AFA in the US, where very high standards are set for what is expected of practising astrologers. Likewise, eg The Mayo School of Astrology, The London School of Astrology, Mercury Internet School of Psychological Astrology, the Faculty of Astrological Studies and the Centre for Psychological Astrology in the UK. I studied with both the latter bodies, and am a member of the Association of Professional Astrologers International to whose ethical codes I subscribe. 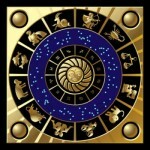 Explain briefly and in general what astrology is and what astrologers do. Explain the limitations of the techniques employed, for example: astrology is a symbolic language and offers a balance of probabilities rather than specific certainties. Describe the service(s) to be provided, for example: character analysis, compatibility assessment – and the scale of fees. Emphasize that astrology is not scientifically proven and that no reading can be 100% accurate. Explain, nevertheless, that APAI astrologers will work to the best of their knowledge and abilities in the preparation and delivery of the services to be provided. Most of us who end up as astrologers have a similar route. First, we encounter astrology in a range of different ways depending on who we are and what our context is, this encounter leading us to being fascinated and compelled to take our interest further. Then we practice, on friends, family, anyone who would like their chart read – hopefully sticking to the basics of Sun, Moon, Saturn, Ascendant and Midheaven, and even more hopefully, having some awareness of when one is getting out of one’s depth – not going too far into wounding other people through our own lack of expertise and knowledge. In the end, how much one gradually realises through this process of initial dabbling the amount of power and responsibility one is taking on by reading peoples’ charts is dependent upon the degree of self-awareness, experience and maturity one has acquired by this point. Personal integrity, which no-one can teach, is also a major factor in determining the path people take when they realise they wish to practice as professional astrologers. I think that the best possible start for a would-be astrologer is to place themselves at the outset within a clear framework of ethics and guidelines which all the reputable training and monitoring bodies provide and follow those guidelines to the best of their ability. An excellent recent book to acquire in helping this process along, is OPA (the Organisation for Professional Astrology) ‘s The Professional Astrologer which is a comprehensive guide to all aspects of setting up an astrology practice. Do acquire this book, Sellieve, as soon as possible! Master astrologer Donna Cunningham’s Counseling Principles for Astrologers is also an excellent guide for astrologers at this very important stage of their careers. One of the best books I know which covers the practical, ethical, moral, psychological and spiritual dimensions of being an astrologer is The Astrologer, the Counsellor and the Priest. by Liz Greene and Juliet Sharman-Burke, based on a seminar given at the Centre for Psychological Astrology in 1996,which I had the good fortune to attend, and which was comprehensive, practical, and thought provoking. I think if you set a context for yourself so that you know clearly what you are doing, who you wish to draw to you by way of clientele, and what your professional boundaries are, then get out there doing a few talks and maybe offering a small beginners class for starters, all that will help. I set boundaries by saying to people who want me to comment on their charts, that I only do that within the boundaries of a professional consultation. It’s a sacred art, after all, so it should be practised with appropriate respect for both yourself, your client, and astrology. If people want a reading, they can go to your Page then get back to you. That saves a lot of time and energy. One of Sellieve’s later comments concerned the question of adding a disclaimer to one’s publicity, advising that astrology is “for entertainment purposes only”, something which she found disquieting in the same way that I or anyone else would who considers that what they do as astrologers goes into a considerable degree of depth and can not be described as entertainment. Here, I can only speak for myself: I would never add such a disclaimer to my publicity, since I consider a high standard of practice to be my greatest protection against any likelihood of legal action. Here we come slap up against the reason why, in my view, anyone wishing to take themselves seriously as an astrologer, or be taken seriously by members of the public as a responsible person, needs to get themselves at the very least some counselling skills training (if full counselling training is not at first a realistic option for whatever reason, often finance) as well as having the experience of being in the client’s seat themselves. Many counselling/therapy training courses will offer cut-price counselling sessions with trainees in supervision. In this way, counselling or therapy of a satisfactory standard can often be obtained without too great a financial outlay. An important part of an an astrologer’s job is to combine the natal horoscope with transits, progressions, and other directions in the heavens at the time of the consultation to help clients clarify situations in which they find themselves, so that they can then make their own decisions regarding what to do. Making definite predictions and advising people what to do diminishes clients’ free will and confidence in themselves, although in the short run it might afford them some temporary relief to hand over those choices to the astrologer – upon whom they can later dump the blame and perhaps threaten legal action, when things do not turn out according to either predictions or advice given. This is but a brief sketch. I hope readers will flesh it out for themselves – starting with the suggestions made for organisations to join and reading to do, enabling them to become clearer about what taking the first steps to becoming responsible professional astrologers involves. There is far more support available now for the Millennial generation of emerging astrologers like Sellieve, than there was when we baby-boomers started out. That’s great, and how it should be … one of my great pleasures at this stage in my life is to pass on some of what I know and have learned – usually the hard way! – to the generation of talented young folk now arising. And – thanks so much to Sellieve Ezra Neptune for prodding me into action on this most important topic!